Spoil yourself and your partner with a romantic meal The River Restaurant. 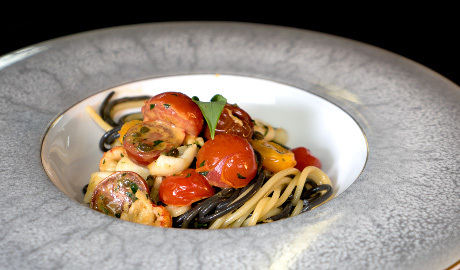 Enjoy a sumptuous four course dinner complete with a welcome glass of champagne in the cosy ambience of our restaurant. 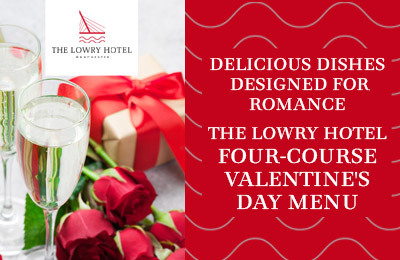 This set menu includes a selection of indulgent dishes to choose from with a few sharing dishes for really romantic date. Please contact the venue for full details and to book. 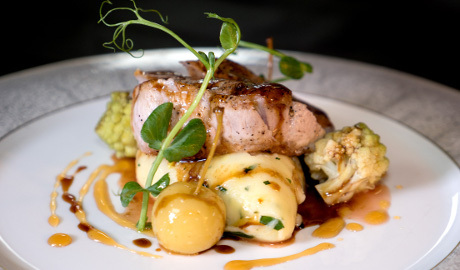 Executive Chef Dave Ashton’s menu uses the best local and seasonal produce that the hotel is famous for and creating classic British dishes to a high standard. His favourite starters include pan fried scallops with scallop ceviche, peanut, lime and avocado and A5 Wagyu beef with celeriac remoulade, ponzu and wasabi dressing. Mains include wild line caught sea bass with cockle minestrone, courgette and basil puree. Meat lovers will be delighted to see a Rump of lamb Cheshire Farm lamb with lamb fat carrot, roast onion, braised rib and mint sauce. Our famous sharing dishes of Beef Wellington and our 42oz Cheshire Farm Tomahawk steak. The adjoining River Bar and Terrace encapsulates The Lowry Hotel’s fun-loving spirit at the confluence of city life. Here you’ll find in the intimate, informal surroundings a quiet place to network, drink and kick-back with a perfectly mixed cocktail, club sandwich, salad, or more substantial dish from our menu. The cosy Library is tucked away at one end. Open until late, this is a place to enjoy our signature cocktails. Here you will also find Manchester’s longest bar terrace — an open-air first-floor terrace for al fresco dining where you can enjoy a drink or meal from the bar or restaurant. Open year-round, The Terrace is perfect for summer afternoon get-togethers in this urban suntrap overlooking the River Irwell. The bar and restaurant at The Lowry Hotel provide the perfect place to relax and enjoy good food and drink, offering breakfast, lunch, afternoon tea and dinner on a daily basis, with a great Chefs Choice Menu offering 2 courses for £19.95 and three courses for £24.95 and a three course Sunday lunch for £22.50. Our Afternoon Tea is available for £22.50 per person or upgrade to our Champagne Afternoon Tea for £33.00. On Thursday evenings and Sunday afternoons you will also be entertained with live pianist and singer Kimm. The River Bar and Restaurant as you know it will be closing in July but don’t worry, we will be back in September with a brand-new restaurant and bar, during this time we will be serving, lunch, afternoon tea and dinner in our grand ballroom during this period. 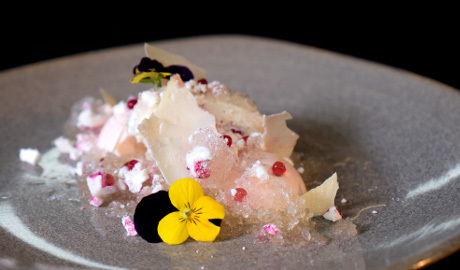 Here is a short video of the preparation of the Watermelon dessert on this month's Chef Choice Menu.